If you are a fan of tech gadgets, you probably heard of Chromebook products. These portable devices are a great choice for all businessman and individual users looking for a reliable machine with a stable operating system. The interesting thing to mention is that the Chrome OS is a Linux-based system. However, that may not be enough for picky users out there. You may want an actual Linux distro installed on your new device. Perhaps you do not want to erase the default Chromebook OS, but only to add the Linux one. Either way, we have the perfect tutorial for you. 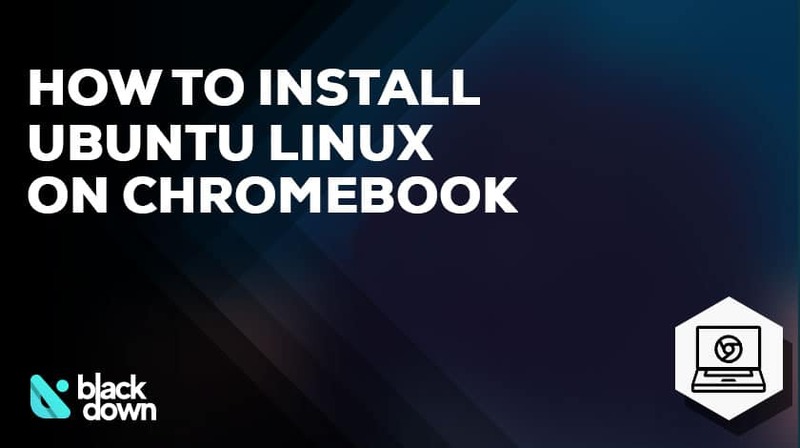 We will show you how to install Linux on Chromebook in several relatively easy steps. If you are ready, we can start right away! We should mention that Crouton is our preferred way of installing Linux side by side with the Chrome operating system. The reason why we decided for this option is that you can take advantage of both OSs only if you have them installed at the same time. You should make a backup of your Chrome OS before you proceed to install Linux. In case something goes wrong during the process, that will enable you to return to a stable restore point when everything worked properly. You can consider using your Google Drive to save important files that you do not want to lose in the process. The first thing we will need to do is to activate the developer mode on your Chromebook. Keep in mind that the process may vary from one machine to another. That is why we advise you to search for a particular guide for your device in case the below tutorial doesn’t work. Your operating system needs to be in recovery mode for this to be possible. On most devices, pressing the Refresh and Esc keys, and the power button together will do the trick. Once you enter the recovery mode, simply press Ctrl+D, and the machine will activate the developer mode. Please note that the machine will probably take at least 15 minutes to set everything up for use. Any local information it encounters will be erased, and a reboot will be made to enter the developer mode. Note: Do not be alarmed if you notice a screen with a red exclamation point. Be patient until the operating system completes the process. The next step is to install Crouton, but do you even know what you are installing? Crouton is an incredible utility that allows you to upgrade, install and remove software on your Chrome OS. The available information indicates that an engineer working in Google developed Crouton, which means you can trust the tool. The first thing you want to do is to download Crouton. Head to this page and make sure to choose the latest version. Make sure to specify the right folder path to the file. You will once again need to be patient until the installation process finishes. Once that happens, the system will ask you to choose your credentials before starting the process of setting up Ubuntu. You will notice that your Linux Ubuntu is ready to use on your Chromebook. Please note that this guide explains how to install Xfce desktop environment. Now that you have the option to use both Ubuntu and Chrome OS on your Chromebook let’s learn a few basics to get you started. First, you can switch between the two operating systems by pressing Ctrl+Shift+Alt+Forward or Ctrl+Alt+Forward. The command will depend on the machine you are using as the former is for ARM Chromebooks and the latter for machines that use Intel. The crucial thing to note is that you will find a limited range of apps on your Ubuntu system. You can easily install additional apps by using the command line. You can also install other software from the official repository if you use the “apt-get install” command followed with the path to the app. We’ve explained more basic commands if you want to be more productive with Ubuntu. You tried it, but it didn’t work. Now you want to uninstall Ubuntu on Chromebook and keep your default Chrome OS. Once you execute all the above, you will uninstall Ubuntu on Chromebook. Google never hid the fact that they often use Linux and enjoy this operating system. Chromebook uses Chrome OS which is based on Linux. However, if you want the real Ubuntu experience, you may want to install Linux on Chromebook. That is what this guide made possible. We hope that you considered the article useful. If you have any questions, do not hesitate to ask them because we are here to help!